Teamliquid has an interview about the Starcraft portion of the 2012 Battle.net World Championship. A few of the main points are summarized below, read the full interview for all the details. The prize pool will be comparable to the Battle.net continental invitationals in 2011. Qualifications will begin in Q2 this year. The entire 2012 season is going to be played with Wings of Liberty. There will be five regional championships, with the final being held in Asia. There will also be national championships before the regionals. Blizzard won't be running all of the matches, instead they will be working with existing eSports organizations. There will be more matches and ways to see them than there were for Blizzcon 2011. Hot off the presses and fast on the heels of the recently announced 2012 Battle.net World Championship event set for later this year, Team Liquid took the time to interview Ilja Rotelli, director of global community and eSports at Blizzard Entertainment. The interview looks deeper into the new structure of the Battle.net World Championship and the future of Blizzard eSports. Here’s a brief snippet from the interview to whet your appetite. At the national qualifier level, do you hope to hold some tournaments that are completely open to anyone who wants to compete? Ilja Rotelli: That is precisely one of the design philosophies we originally adopted. The idea is that we want to make a more aspirational and participatory eSports environment for StarCraft. The idea that there are superstars that seem so far away, that one can't hope to become; this makes eSports very restrictive. Blizzard has a slightly different goal from eSports companies. If you think very frankly about the business goal for Blizzard as a company, we gain when more people play the game, and a strategy that makes sense to achieve that goal is to go grassroots. We don't have plans in place yet, but in my dreams, this is the beginning, where we go as grassroots as we can for the first year. Then, in 2013, we would love to add an additional layer to the bottom of the structure, to be even more grassroots than now. This is just a philosophy, not a practical plan that we have in place, but certainly that is one of the design principles we have been using so far. Visit the Team Liquid site to read the complete article. As you already mentioned, in the upcoming patch there is a change to Vial of Shadows that should reduce some of the burst damage you are experiencing in PvP. Dying in openers certainly isn't fun, and can be incredibly frustrating if you're the one on the receiving end of such a coordinated attack, but don't give up! In addition to perhaps taking some time to focus on other activities such as Rated and unrated Battlegrounds where you have more people to watch your back, you might also consider browsing some PvP videos from other members of the community to not only help inspire you, but to also arm you with a further arsenal of tactics that you can use to your own advantage against opposing teams. Also, from my own experience, when I was having a lot of trouble against a certain class or spec that I felt countered my usual tactics, I found it helpful to sometimes grab a friend that played that class and spent some time dueling them so that they could critique me on areas where I could improve my skills, including my timing on using certain abilities, and how I could counter some of their own tactics. That way when I stepped back into arenas, I was more confident in my own skills and felt better-prepared for how to expose the weaknesses of my enemies. It's not irrelevant, particularly given almost everything that happens after the Cataclysm and Deathwing's demise is centered around the discovery of this new continent. These forgotten lands, as well as the way the Horde and Alliance go about exploring them, are central to the overall story line (much like Illidan and the Burning Legion were to The Burning Crusade, the Lich King and his Scourge were to Wrath of the Lich King, and Deathwing's destructive return to Azeroth was in Cataclysm). What a coincidence! We happened to talk about raid design and results with Ghostcrawler and Mumper yesterday, and everyone looked back fondly on Ulduar, among others. 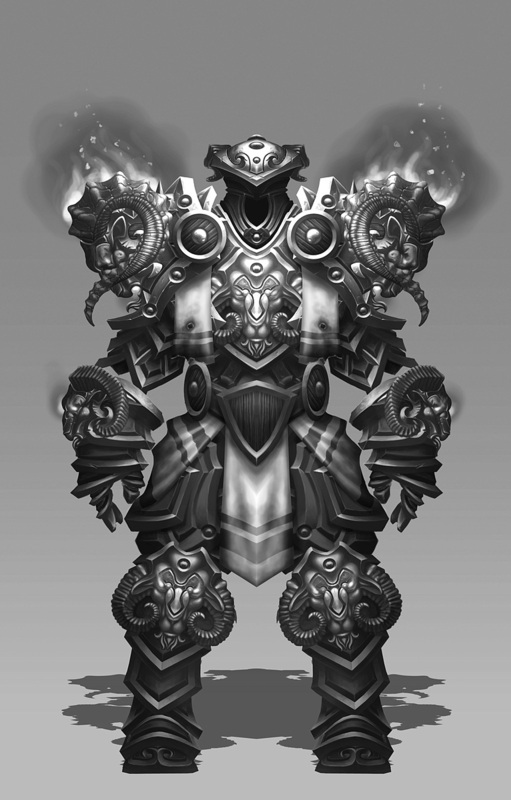 Yes, the same designers and artists who worked on Ulduar are still working on raids. Here's the thing -- Ulduar is an example of a raid where lots of players got to enjoy the first few bosses, and very few players ever saw the last few. Yogg Saron and Algalon were among the least-killed bosses ever, and not because they were exceedingly difficult. Rather, clearing the dungeon all the way to Yogg took up a big chunk of a raiding week (and you only had an hour to kill Algalon), and the ability to extend raid lockouts came later in 3.2.0 (but extending raid lockouts means getting less loot overall). Raid Finder partially resolves the length-of-raid problem, so we can consider designing longer raids, but that's not always an easy call. Long raids mean longer development time, and while some players might be willing to wait, we understand why others might get impatient. Of course, having multiple raids in a tier (like the combination of Bastion of Twilight and Blackwing Descent) has the advantage of giving players different environments to play in while potentially making scheduling and logistics easier. One of the problems we're specifically trying to address with the new talent system is getting back a little to the sense that there are 10 classes in the game (soon 11) instead of 30 (soon 34). A common complaint we saw about the Cataclysm talent design was that hybridization was greatly downplayed. Now it’s easy to dismiss going down two trees as never really having worked out, but it’s clear that many players are in love with the idea of doing so. We also just want to keep the total number of talents under control, since the intent is that they have pretty big effects. If you're facing a Frost mage in PvP in Mists of Pandaria, you’ll have even less of an idea of what is in their toolbox than you do today. If you're a raid leader, you won’t be so certain what abilities your Discipline priest has to deal with the upcoming boss. A little of that keeps gameplay feeling fresh, but too much of it can be overwhelming. If each of the three mage specs, for example, had different talent choices, then we would have 612 total talents in the game instead of 198. Even 198 is a lot to learn. We also have the suspicion that coming up with 612 really awesome talents will be much more challenging. One of our design philosophies is concentrated coolness: have a few awesome things instead of a lot of mediocre things. Now in some ways we are strengthening the concept of a spec by really pushing rotations and some other signature spells to specific specs. Immolate is Destruction only. Backstab is Subtlety only. Given that, talents are a great vehicle to make sure that your character still feels like a warlock or a rogue at the end of the day. The situation with intellect plate is an ongoing discussion among the designers, but we have yet to come up with a solution that's better than just continuing to make intellect plate. 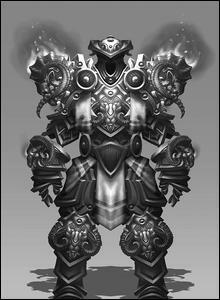 Let Holy paladins wear Strength plate – This would require a lot of conversions. Does hit become Spirit? What happens to expertise? Do all Strength items convert or just actual armor pieces? Can paladins mix and match with Intellect jewelry and trinkets? Do Holy paladins also hit really hard in melee, or do they lose that ability? Does it make paladins too effective as hybrid classes if they can share much of their gear across three different roles? Let Holy paladins wear mail – Our mail is designed to look like shaman or hunters, not paladins. 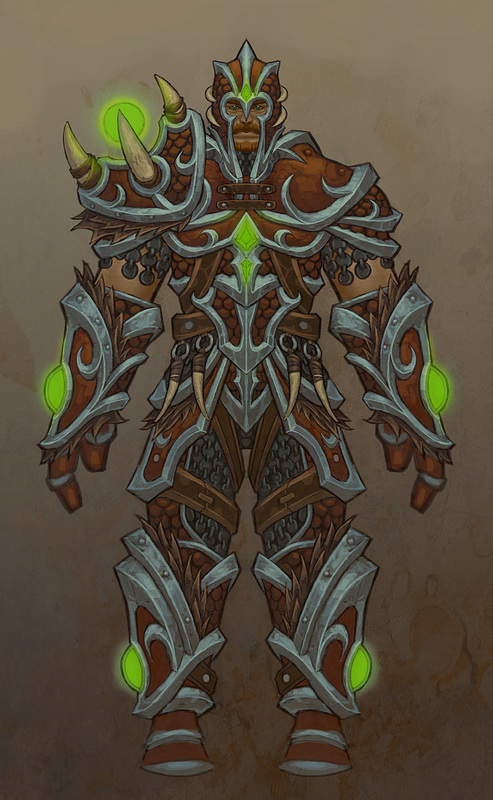 It’s cruel not to let a paladin wear the paladin tier armor, and also weird that a given tier piece could be plate or mail even though it looks identical. 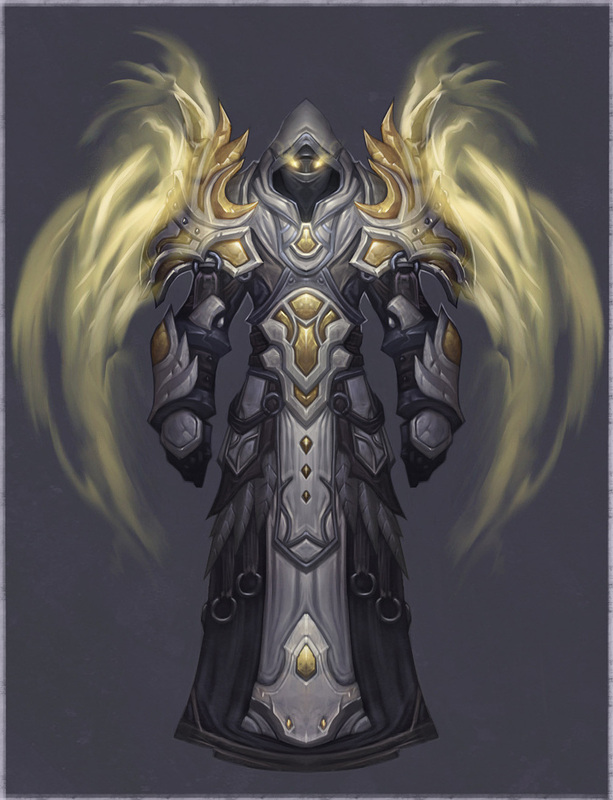 Let priests wear plate – We like the design for priests as cloth-wearers, we would not want to drop less cloth overall (since only mages and locks would need it at that point), and we don’t want priests to look like warriors, DKs or paladins. Blizzard has added four more pieces to the World of Warcraft: Classes and Cataclysm Art galleries. The art always looks so great. That priest art is freakin sick! "we are considering doing a few bosses with optional modes (in the same way Mimiron, Freya or Sartharion had them) in Mists of Pandaria."awesome! 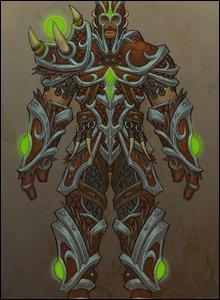 Priest t8 was my favorite, although Avatar gives it a run for it's money. Great art, great set. 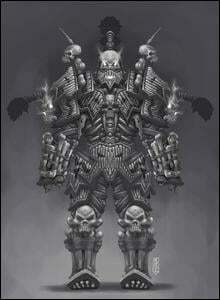 Hunter t8 concept art is also labeled as so. Looks like t8 was gonna be t7, but then they decided to recycle t3. Oh please, I just cringed while reading this. 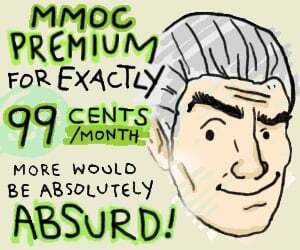 It's like if they don't realize that this is exactly what's going on in wow right now. Only the Big Red Button was moved from the game world onto the GUI. Mimiron HM fight was great, but it's the worst example of the actual activation of HM in all of Ulduar. Hell, there were more than one achievement (and all came with its own special gameplay mechanic) on all the bosses in that raid, compared to only one needed for a "glory" meta now. Ulduar wasn't even in there since the start of the expack, it got added in a content-patch (yeah, I guess it was in development longer than that, but still). Sorry, but I can't forgive Blizzard for being lazy. Seriously, they have no excuse for not doing Ulduar-level instances if they still have the same team. What is people's problem with Intellect Plate gear? I don't want to wear Mail or Cloth or have to re-do my reforging and re-learn about how Strength now converts to Spirit. So it dropped for you and you didn't have a Holy Paladin in the raid... and? I see lots of items getting disenchanted in raids, because nobody needs or wants or can make any use of it. Besides, I see my BiS rings, necks, weapons and cloaks (Haste/Spirit) being won by Shadow Priests and Elemental Shamans all the time. Let us have something that is ours only, please. First info release about NOT-BLIZZCON?Meh. The thing i would suggest is, instead of regural items, the bosses would drop Item Tokens, exp. Dps ring token, Dps plate token, Healer boots token, Dps trinket token, or something simular. Mimiron was actually a perfect example because pushing a button setting a self destruct sequence from a crazy tinker was pure genious. It just made SENSE. yeah it was the same as flipping a switch but you actually CAUSED a problem rather than just oh he has more HP and hits harder. Definitely interesting to see how the concept art for the T8 priest set had a full hood instead of the partial that went live. Wish it'd had those wings too. "Maybe someday there will be a new class that also uses Intellect plate." T8 priest would be much better with the Bigger wing particals, not like always this big. 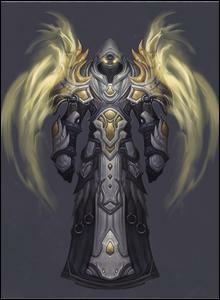 Maybe they should have done it like the T8 Rogue shoulders or T10 Shaman shoulder not to mention the warlock head peice with the wing animation. Can't wait till they give us the option to remove the Enchanting effect's perhaps like a Transmog feature to let us pick our own partical effect or have Enchanter make a scroll that only the effect of the chant change. A resto druid with the chant falling leafs and stuff suits them well for example. When a 4k resi player gets killed in 2 seconds by a rogue's opener I sure would talk with a rogue friend and see what I was doing wrong. Lol. Surprise suprise.. blizzard is too scared to answer questions about its 2011/2012 conduct at blizzcon and the support of SOPA.